“John Kaniecki is an author and poet. His works has been published in over eighty outlets. He was born in Brooklyn, New York and grew up in Pompton Plains, New Jersey. He attended Steven’s Institute of Technology for two years before dropping out. At that time John became a Christian and a member of the Church of Christ. Also John began to seriously suffer from bipolar disorder. This mental illness would adversely affect John. As such the topic is dealt with in his writing. In particular in his book of memoirs “More Than The Madness”. Also the experience is poetically explored in the book “Murmurings Of A Mad Man”. 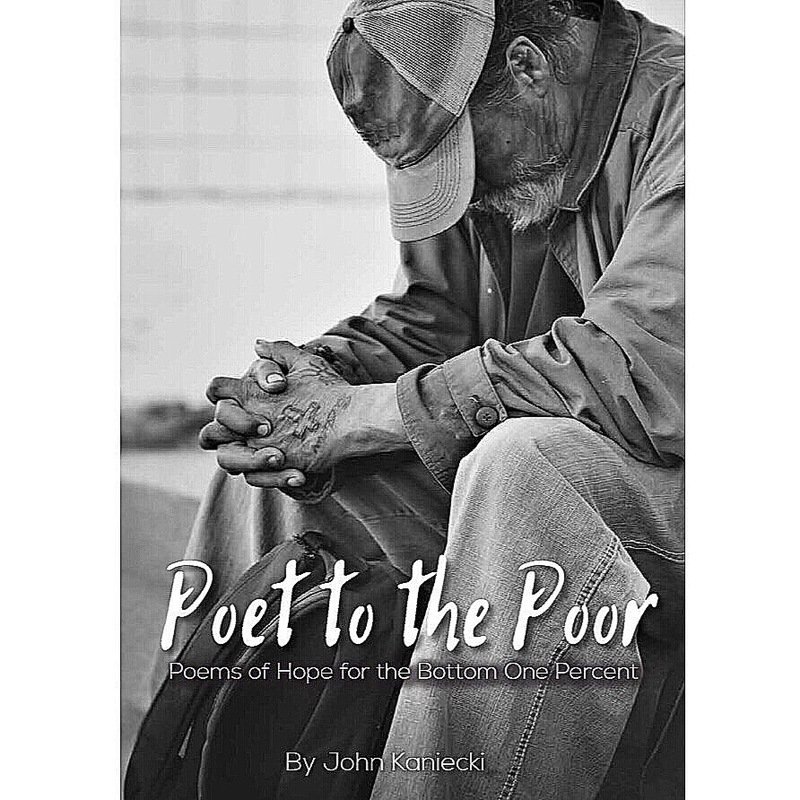 John’s shining achievement is his poetry book “Poet To The Poor,Poems Of Hope For The Bottom One Percent.” This book deals with historical figures and events along with people from John’s own life. True to John’s poetic philosophy the book is written with poems that deliver a clear message. Rhyming and rhythm are prominent. John’s book “Sunset Shadows” is a book of classically written sonnets dealing with dying and death in a spiritual and wholesome way. “A Day’s Weather” completes John’s present poetry collection which is a depiction of his days as a neophyte poet. This early work is a wholesome and quaint collection.